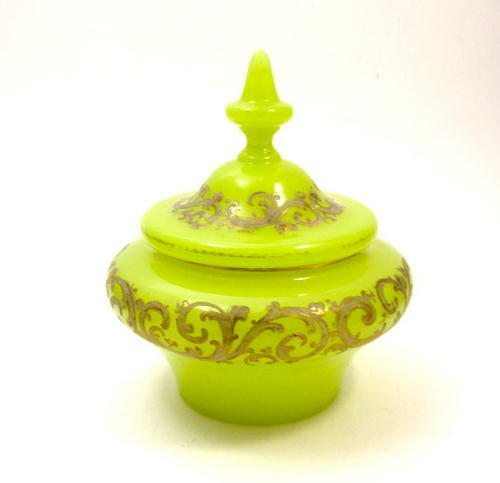 RARE Antique Yellow Opaline Glass Bowl and Cover with Fine Enamelling. CONDITION: Good Condition. No Chips or Cracks.